Muslin swaddley goodness! - Time for a nice cup of tea? 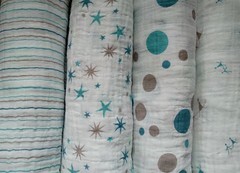 My Adenandanais muslin swaddles finally arrived - had been lusting after them for months and finally decided to order - lovely!